Roll Up Banners; pull up stands; roll-up banner stands – call them what you will; these extremely effective marketing tools are everywhere advertising businesses, products, services and events. We’re now well into December and that means that year-round promotions and events are around the corner. Roll Up banners are highly effective marketing tools even if you’re on a small budget. Whatever your message and wherever the location, your roller banner will be often be competing with other marketing. Fortunately, with a little planning you can sure your stand will make the sort of impact that will ensure your message is remembered. Unlike a brochure or leaflet your roll up banner has only a few seconds to make an impact. The most effective roll up stands have a short, snappy message. If you fill your stand with text no one will read it. For example, if you’re advertising (sorry kids) “Back to School” offers, you don’t need much more than the headline and maybe a few bullet points. As long as people know where to get more information, your stand has done its job. Put the most important info to the top of your roll up banner. Not only is eye level by far the most noticeable area of your banner but if it’s to be used at different locations tables, other displays and passers by might obscure the lower half. Your roll up banner might only be seen from a distance or in passing. Make sure it can be read quickly and easily. Make your text or any essential images or logos as large as possible. In halls, clubs or any areas where there’s a lot of footfall, your roller banner will fade into the background if the message isn’t large and loud. 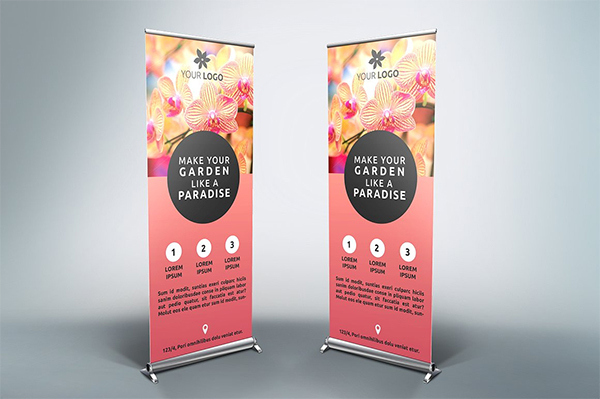 Your roll up banner is a large, visually imposing piece of marketing. A small or poor quality image blown up to size will look blurred. Not only will that detract from your message but it will look cheap and unprofessional. Use only high resolution images and make sure the originals are large enough that they’ll still appear sharp and clear at the size they’ll appear in print. It’s easier than you might think to neglect to include clear, easily read contact details on your roll up banner. A web address or QR code will drive traffic to your website. Phone numbers and social media icons also let people know where to get more information. Your logo should be on all of your marketing so that your brand becomes engrained in the mind. There are many different sorts of roll up banner from entry-level stands that are great for single or short-term use, to extremely durable stands that will last a lifetime. We supply a full range of roll up banner stands to suit any purpose and budget. 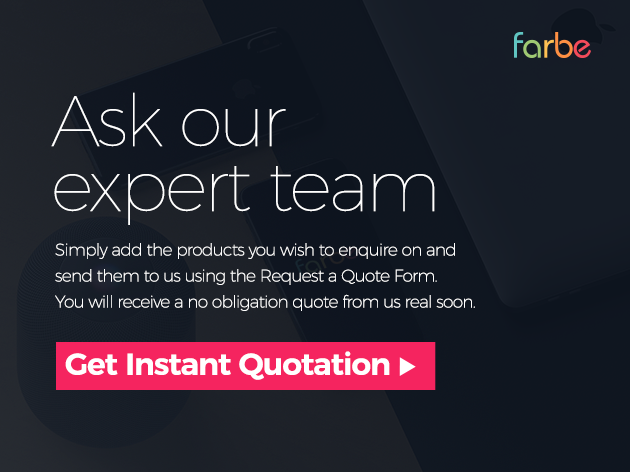 Fore more information or to order your own roller banner, simply visit https://farbe.ae or contact us today.